Oregon's most beloved fruits include marionberries, pears and apricots. Taste all three in our Vintner's Favorites Trio. 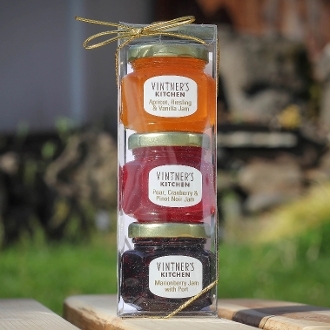 These jams are simply perfect on fresh bread with a thin slice of your favorite cheese.